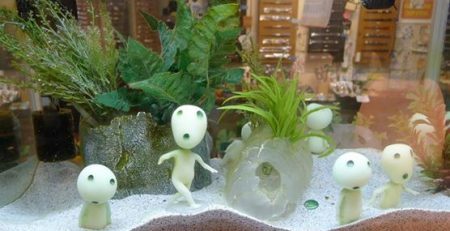 The beauty of Marimo Moss Balls, sometimes called Moss Balls or Japanese Moss Balls, is captivating the world over. Owning these adorable balls has become quite popular, especially in America and Asia. These green algae spheres are found in lakes or on the shaded side of rocks, being capable of growing very slowly to a maximum of 10 inches in diameter. 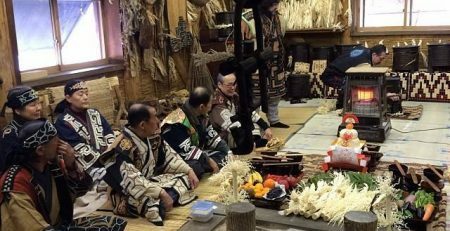 Much sought after, the algae are associated with a romantically tragic legend in Japan, involving the tale of a man and woman who fell deeply in love. During a swim in Lake Akan, the couple drowned; and the story has it that the hearts of the two lovers were transformed into Marimo Moss Balls. This association may contribute to their mystique. In any case, these algae are considered to be something comparable to a good luck charm and thought of as perhaps able to heal a broken heart. Known as Japan’s national treasure, the intriguing balls were discovered in Lake Akan in the 1920s, but they also originate in freshwater lakes in Scotland, Iceland and Estonia. As they can live for more than 100 years, they can be passed down as family heirlooms for generations. The moss balls can be put in jars or tanks, adding visual interest to a living space. 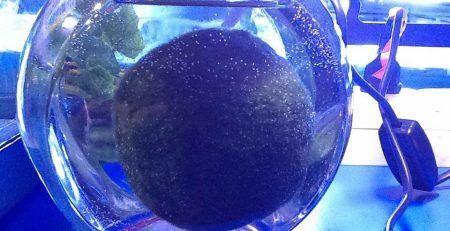 Marimo Moss Balls are good for beginners, being very easy to care for. 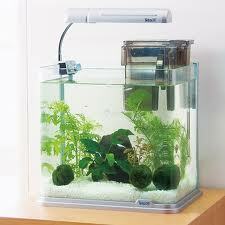 They can be grown in tap water at room temperature, needing to have the water changed at one or two-week intervals. The algae should be placed in a spot with low lighting, avoiding direct sunlight. Monthly maintenance of squeezing the water out of them should be performed, permitting the balls to float until they sink to the bottom. This practice stimulates them, fostering rotation so they receive light on all sides. Marimo Moss Balls can be used as beautiful decorations in your home. All they need is some a container and water to thrive in. 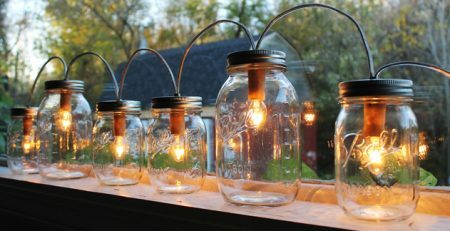 Place them in a glass jar, vase, or tank, and you add a touch of natural beauty to any room. 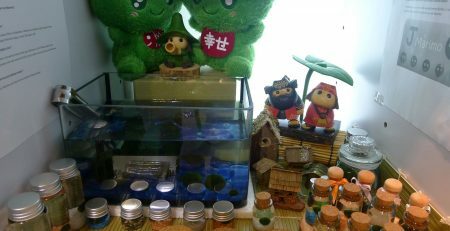 You could also add other elements like colorful gravel or natural elements like sticks or rocks to create a scenic home for your Marimo Moss Balls. 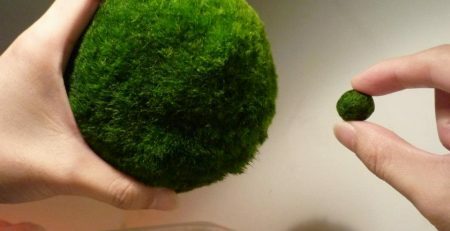 Besides being attractive and adding a touch of green to any space, Marimo Moss Balls also have a lot of great uses in your home. If you have an aquarium or pond, you know green water and other types of algae blooms can be troublesome. 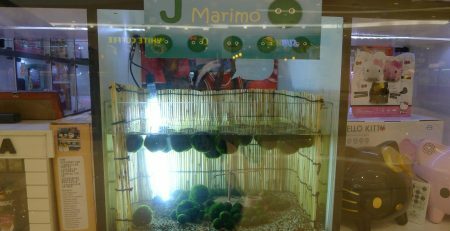 As they eat the same nutrients as algae, Marimo Moss Balls will get rid of any unwanted algae problems. 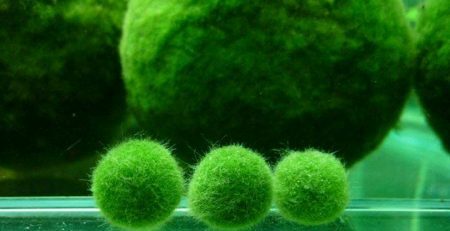 Interestingly, immersing Marimo Moss Balls in club soda water will raise carbon dioxide levels, which will boost their growth. However, this technique should not be used in a tank that contains other species. 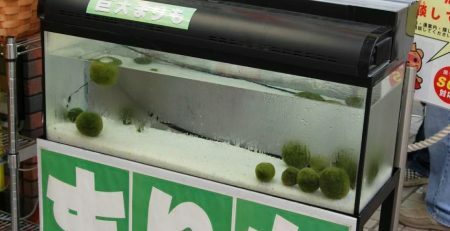 Since light stimulates the growth of Marimo Moss Balls, they should be split in half or in quarters so all the algae strings receive exposure. Care should be taken that the center parts of each segment face the light. Once they are activated with light exposure, they can rejuvenate in 4 to 6 hours. Two days after splitting, the algae can be formed into a ball. This may be accomplished through several methods. One option is to wrap the algae in a sewing thread twice, forcing it into the form of a ball. Another choice is to roll them in the palm of your hand, but this measure requires patience. A third method is to place the algae in a bucket of water and create a circular flow of water, which would roll them and simulate their natural habitat.